New nuclear power plants are expected to offer improved characteristics with respect to safety, economics and waste management. Dr. Petrovic will introduce a new reactor concept, Integral Inherently Safe Light Water Reactor (I2S-LWR). This concept aims to improve safety and economics of future nuclear plants through significant innovations, at the same time remaining anchored to the proven Light Water Reactor (LWR) technology. I2S-LWR design concept employs reactor configuration with an integral primary circuit to implement inherent safety features, while keeping the plant power at a GWe level. This requires innovations in the enabling technologies – safety approach and novel design of nuclear fuel and primary circuit components. Dr. Petrovic will discuss the rationale and main technical features of the new concept. I2S-LWR is being developed under a DOE Integrated Research Project (IRP) research grant, recently awarded to a Georgia Tech led multidisciplinary team of 11 national and international organizations. Dr. Petrovic is a Professor of Nuclear and Radiological Engineering at Georgia Tech. Prior to joining Georgia Tech, he was a Fellow Scientist in Westinghouse Science and Technology with primary responsibility as the Deputy Director of the IRIS reactor development project. His expertise and current research interests include reactor physics, advanced reactors design, nuclear fuel cycle and waste management, modeling and simulations of nuclear systems, and industrial and medical applications of nuclear technology. 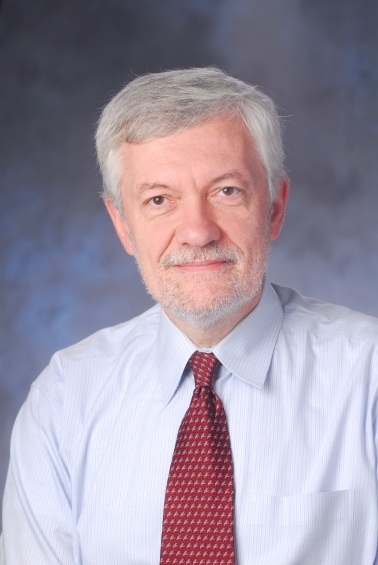 Dr. Petrovic is a Fellow of the American Nuclear Society (ANS), and has authored or co-authored over 200 technical publications.